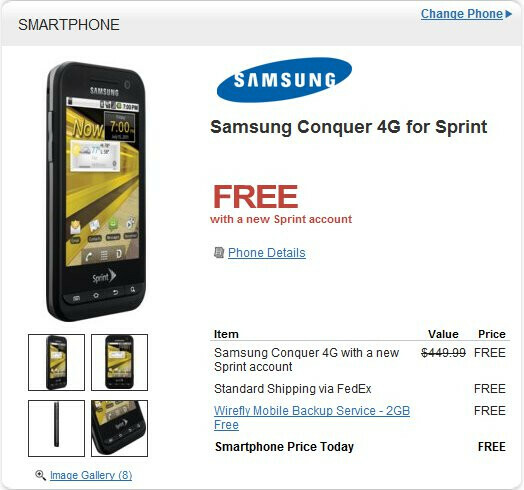 Sure you can probably pick up aging Sprint 4G WiMAX smartphones like the Samsung Epic 4G or HTC EVO 4G for dirt cheap through the host of retailers out there, but with newer devices, we generally need to wait a little bit of time after their initial release to see some considerable discounts. Fortunately, if you happen to have a flare for something that’s new and cheap right now, then you might want to take a gander at the deal that Wirefly is having on the recently available Samsung Conquer 4G. Even though some might be content by its $99.99 on-contract price through Sprint directly, Wirefly has the 4G and QWERTY packing smartphone priced at free with a 2-year agreement. Conversely, upgrade customers still get some sort of discount – though, it’s not as much. 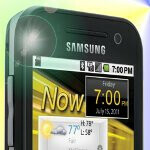 In fact, they’ll need to fork over $79.99 to purchase the handset. As much as we’d love to see it lower for existing customers, it’s nevertheless still better than nothing. So if you’re interested, check out Wirefly’s web site. I don't think there is a QWERTY on this phone.